André Krouwel teaches comparative political science and communication science at the Vrije Universiteit Amsterdam and is the founder of Kieskompas (Election Compass) – a developer of online Vote Advice Applications, with which data on party positions and voter opinions is collected. Krouwel’s research focuses on public opinion and politically relevant sentiments, voting behavior, political parties, and social movements. He has published articles and book chapters on parliamentary and presidential elections, party competition, populism, and Euroscepticism. 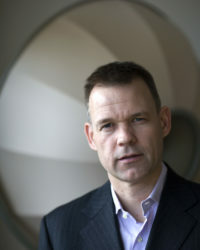 His most recent research has investigated the impact of information on political attitudes and opinions, (negative) political emotions, and belief in conspiracy theories. Recent publications on conspiracy beliefs focus, in particular, on differences between political extremists and moderates. (with Prooijen, J.W. van) “Extreme Political Beliefs Predict Dogmatic Intolerance.” Social Psychological & Personality Science, vol. 8, no. 3, 2017. (with Prooijen, J.W. van, Boiten, M. & Eendebak, L.) “Fear Among the Extremes: How Political Ideology Predicts Negative Emotions and Outgroup Derogation.” Personality and Social Psychology Bulletin, vol. 41, no. 4, 2015. (with Van Prooijen, J. W. & Pollet, T. V.) “Political Extremism Predicts Belief in Conspiracy Theories.” Social Psychological and Personality Science, vol. 6, no. 5, 2015.